We publish a lot of Road Tests of rare German machinery in The Vintagent for one very good reason: rides on amazing machines have been offered by a long-time supporter, the Motor-Sport-Museum at the Hockenheim race track. 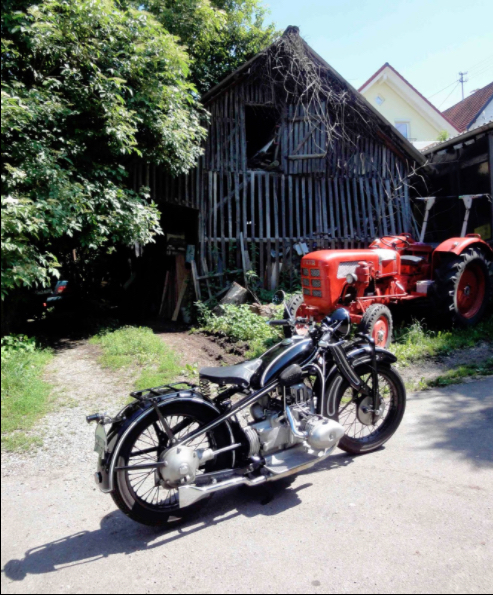 This is a favorite of our host, a 1929 BMW R16 with 750cc ohv engine, the top of the BMW range in the Vintage era, with a pressed-steel frame and leaf-sprung forks, three-speed gearbox with hand shift, and a rear brake which squeezes the drive shaft. And according to our host, the R16 ‘starts easily and rides with never a problem’. With such a warm recommendation, would it be possible not to love this machine? 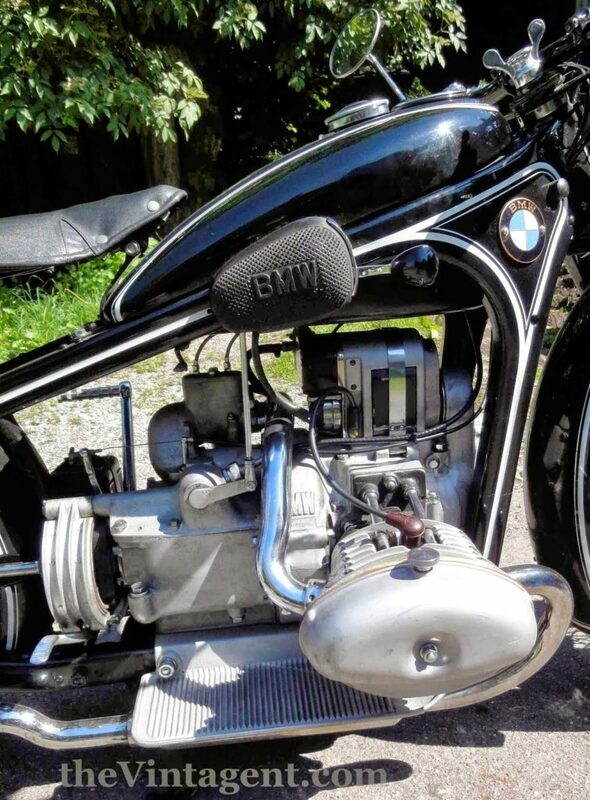 In common with all the Hockenheim motorcycles loaned out for Road Tests, this BMW has been fettled to the highest standards by a demanding owner, who expects motorcycles to run as they did when new, and in fact, rides them as if they were. No pussyfooting around, he winds it on to see what they’ll do and how they’ll perform. In other words, no points lost for full-throttle work by a journalist, as long as I don’t throw the plot in a ditch; that would be simply poor form, and likely end my access to some of the most interesting motorcycles on the planet! So, a hot ride, with conscious care, is the order of the day. No GPS required either, I’d be following the owner in his 1952 Hotchkiss Gregoire 2-door coupe, with an aluminum body and flat-four 2.3liter engine. Never heard of it? 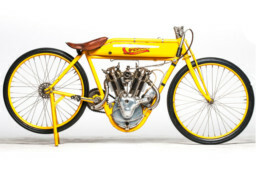 Don’t worry, this example is probably unique, one of 7 made with a Chapron body that year, fast and lovely. Starting the beast was simple as with all BMWs; flood the carbs a little, knock back the ignition timing, wind the choke closed, and kick it over; the magneto is strong and the bike starts instantly, surprisingly loud in fact, not mechanically (although there is a whir from the gear-driven timing chest), but from the exhaust – definitely not your brother’s BMW, it’s rorty with a flat bark from the twin fishtails at the back. It doesn’t take long for the engine to warm up and the choke to become redundant, and the bike has a roll-on center stand with no fiddly rear stand to look after. So, when it’s revving freely, roll it off the stand, hand-shift on the right from neutral to 1st with a very slight clunk, and move on out. The hillsides in this area are green as jealousy from weeks of spring rain; today is the first with full sun, and motorcyclist sprout like daisies everywhere. The power band of the BMW is soft with plenty of torque, and winding the motor out in first and second definitely gets one to 60mph briskly – this isn’t a measly 500cc ohv, the extra 50% capacity makes a clear difference in rideability in modern conditions. The owner has “become a bit of a snob, as the 750cc has spoiled me for the smaller capacity BMWs” No points lost there either. As for power, some full-throttle top gear work going slightly uphill yielded 145kph on the speedo, which corrected means 138kph actual, which is near enough 85mph. More is possible in the right conditions, so let’s say best case scenario 90mph, which is really going some on an 80 year old machine. The handling was impeccable, and even at 80mph the bike felt rock solid. It’s spoiled by the smooth German roads, and I might have a different opinion of the undamped leaf-sprung front forks over lousy Cali roads. 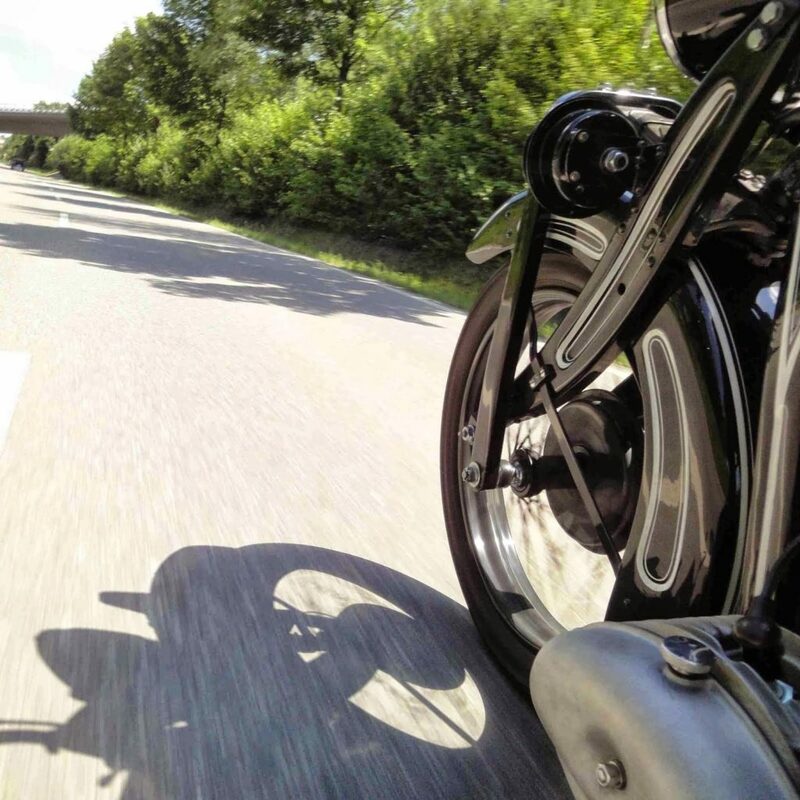 But cranked over and on the gas, the bike went where it was told with absolutely no drama. Shifting left/right/left on some fast s-turns revealed a hint of flywheel torque reaction on right-handers, which meant a barely perceptible push to crank it over on that side. 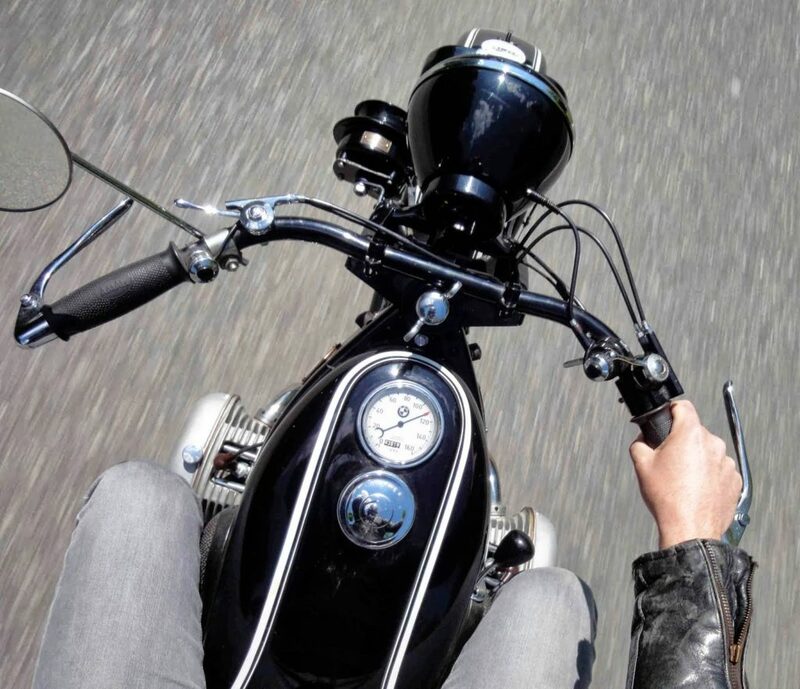 But the wide handlebars made for graceful changes of lean, and an ergonomic riding position to boot. Aesthetically, these late Vintage BMWs are Art Deco perfection, with their modernist industrial steel chassis mated to an engine with clear aero heritage. The hand-painted pinstriping over basic black emphasizes the line and curves, echoing engine-cover ovals and frame-press indents. They hadn’t yet sorted out integrating the ancillaries like magneto/generator/carb, which sit atop the smooth engine lines and remind one that this is in fact a ‘machine with other mechanical bits bolted on which do important things’. In German, that’s one word. 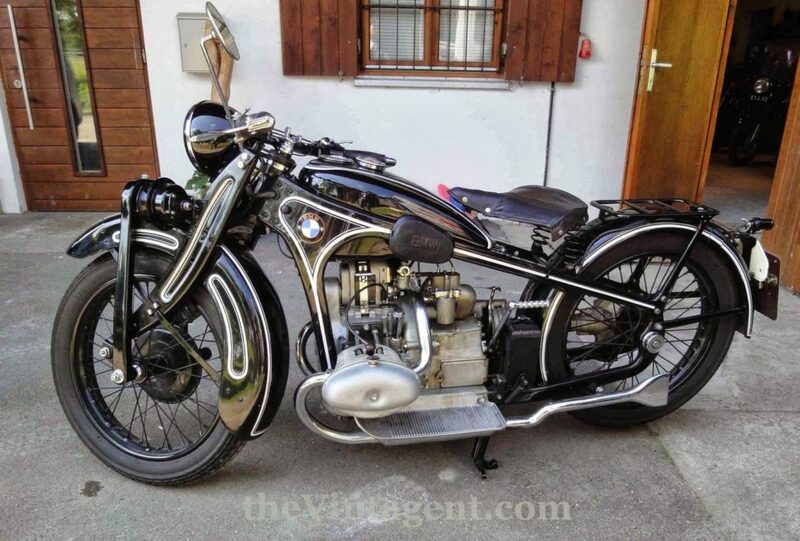 If I were in the market for a totally rideable prewar bike, a BMW R16 would be at the top of my list. I could have ridden all day without fatigue or worry about mechanical disaster, at a rapid if not racing clip. It’s the very definition of a sport-tourer, meant to be hustled along through beautiful countryside, just like I did on the test day. Perfect. FANTASTIC review! You are a lucky devil. I sit here with my slack jaw…. slung wide open, wishing I were there to experience that machine which has lived on. I am awestruck at it’s beauty. While modern bikes look great. This machine has presence, style, and unmistakable looks. Great pics there Paul.My friend Paul M in OCala Fl has the same bike nearly finished.The first pic with the tractor and barn has great composition and colors. A most enjoyable read, thanks for posting this. I had no idea the boxers went this far back! Hi Paul! This is a great write up, as is all your stuff on the Vintagent. 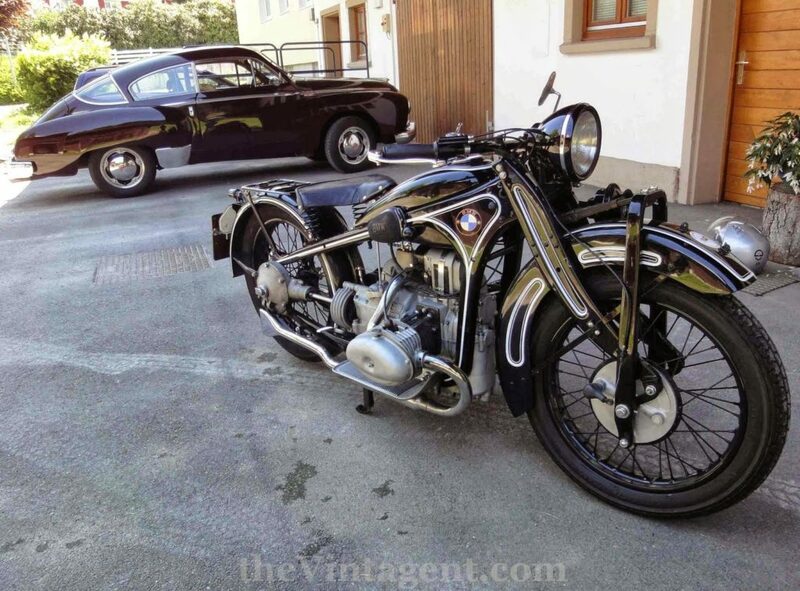 Do you mind if I link to it from the Vintage BMW Motorcycle Owners website? Also, one little note: the BMW pressed steel frames aren’t “Star” frames; that’s a misunderstanding – I believe – that LJK Setright introduced in his Bahnstormer book. Surely you can see that these frames don’t look much like a star. However, in German, a Starr Rahmen is a rigid frame. Any rigid frame (ie, no rear suspension). Just a bit of trivia. Anyway, thanks for this great write up, and I hope you’ll allow me the link. Actually, the owner pointed this out to me first…he has keen eyes…I was simply riding, photographing, and winding the throttle open. A very satisfying machine indeed, and the one-hand antics prove the stability of the bike at speed. Rock solid! As a long time Vintage BMW fan, I am glad to see this review here. 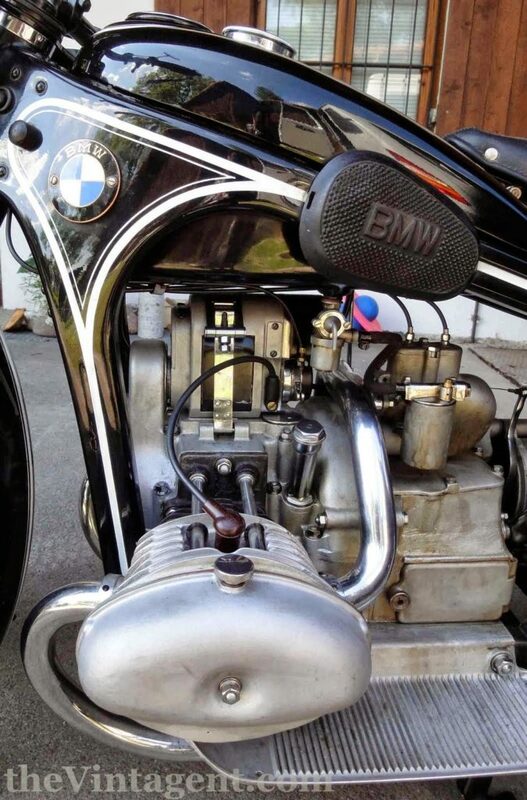 Having seen many vintage BMWs of this era (and ridden 1 or 2) I am always surprised by how LARGE bikes have become….both in weight and in overall dimensions. Clearly this bike is capable or handling most things a modern road can throw at it…80s years on. The other thing that always fascinates me about bikes of this era is exactly how compliant and flexible the engines are. Lot’s of torque almost all the time with no peaky rev band…even on a sporting model like this. Sure there are some areas where they lack: Like brakes, metallurgy, and reliability. (Let’s face it no vintage bike is as reliable as a modern counterpart) But overall it seems they were onto something good which maybe we have gotten away from in the pursuit of ever higher HP. Thank you for linking to my site. Your site is very impressive and most interesting. 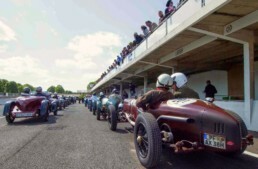 I was particularly excited by the Chapron-bodied Hotchkiss Gregoire lurking in the background of the BMW R16 post.